How to password protect your scans? When you scan receipts or some confidential documents, you surely don't want anyone to see them. 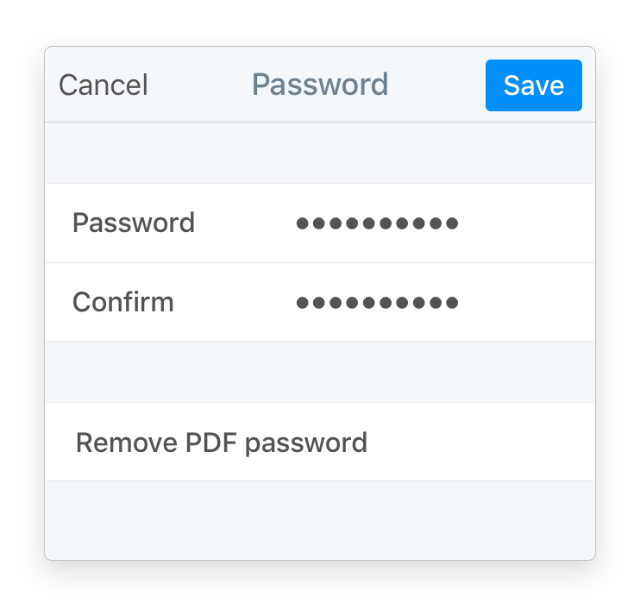 With Scanner Pro you can easily password-protect your PDFs. Open one of the scans > ... > Set password on PDF. If you are using iPad, tap on Lock icon instead.